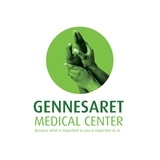 Gennesaret Medical Center (Baltimore) - Book Appointment Online! We specialize in Primary Personalized Care that focuses on you. Our lead physician, Dr. Toyin Opesanmi is a board certified Family Practitioner with many years of experience in comprehensive health care that comprises of all disease entities. We genuinely care about our patients and go above and beyond to provide the best medical care. We do all these at a great value. She's a caring doctor but the practice is small in all actuality I want to continue going to see her.